Our standard cards set the bar high. Business Cards are effective marketing tools that have multiple applications. 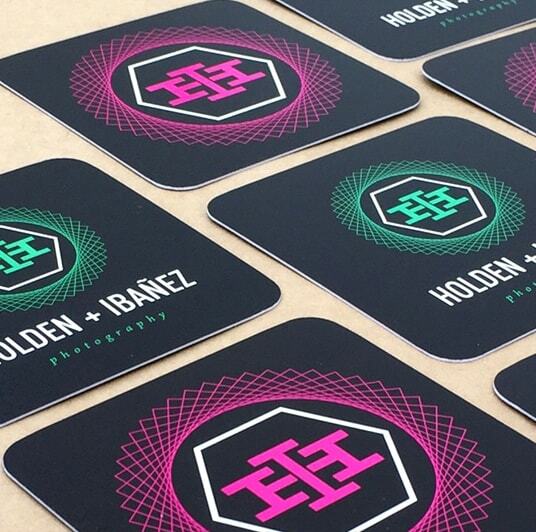 Use them to network, as creative promotional tools and more. No matter what your branding needs are, our paper stocks deliver. Choose from Standard 14 Pt, Heavyweight 18 Pt, or CORE 32 Pt and 46 Pt. Complement your design with a finish that is both remarkable to look at and touch. Available in Low Gloss, High Gloss, Satin Flood, Spot UV, or CORE. 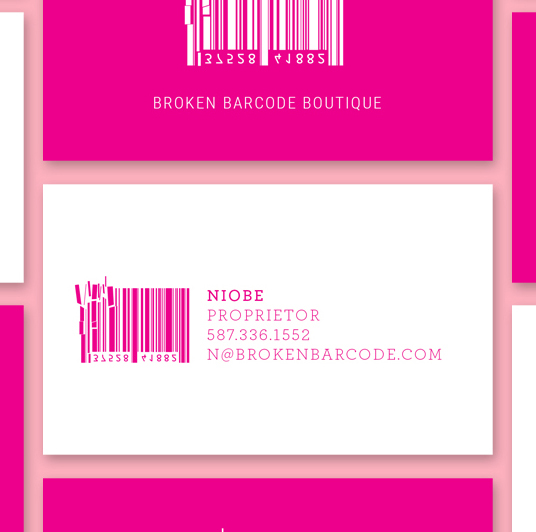 Business Cards are the perfect size for discount and coupon cards. Gift free products to patrons or give them a percent off. Use Business Cards as stamp or hole-punch loyalty cards to give your customers an incentive to to become frequent shoppers. Planning a sit-down dinner or business luncheon? Use folding Business Cards as personalized place cards for your table settings. Write your patient or client’s appointment time with ink, pencil or via inkjet printer on any Business Card coated with Standard Gloss. 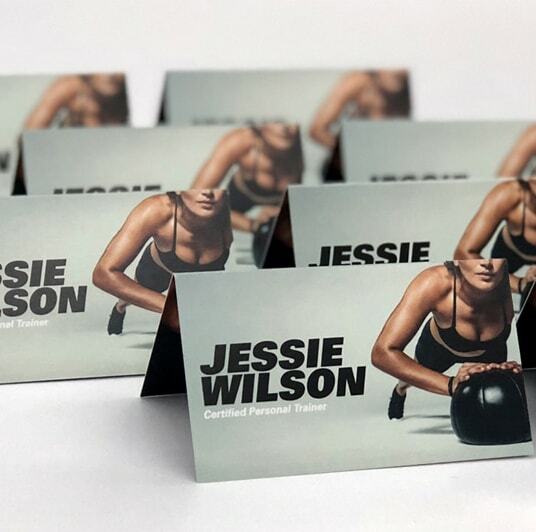 Place Business Cards with your company’s logo and social media information into packaging or in customer’s bags for great branding. 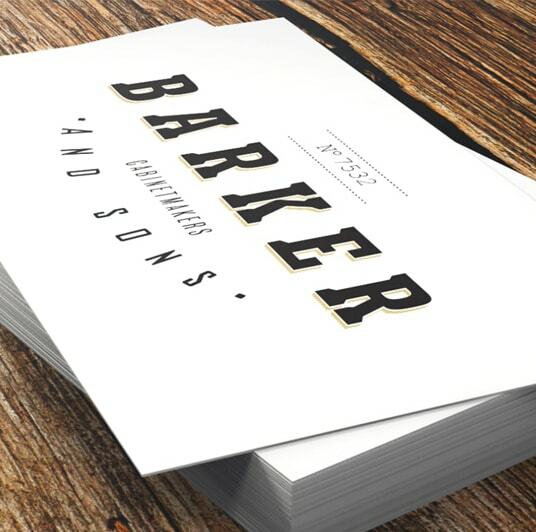 Our most dense line of paper, CORE is impressively thick and smooth to the touch. 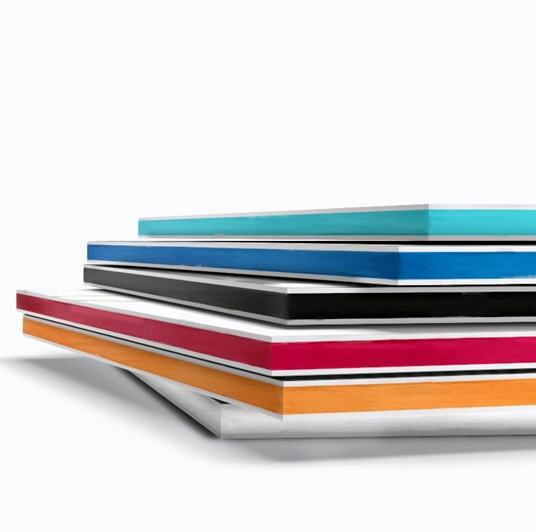 Available in both 32 and 46 Pt, CORE comes with six different color seams to match your design. 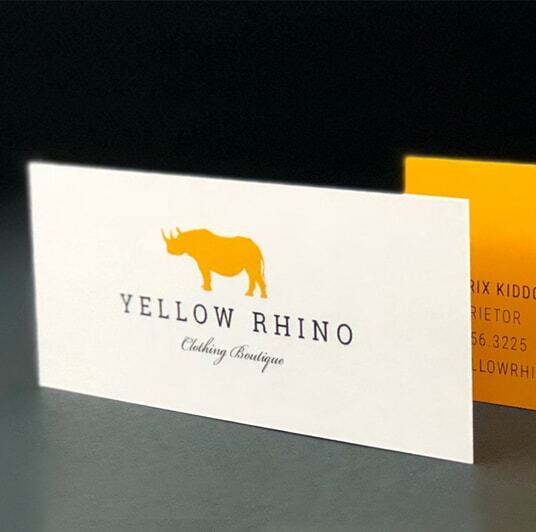 Also known as No Coating, No UV Low Gloss still retains a slight gloss, and allows for writing directly on your printing with pencil, pen as well as Inkjet printer. Spot UV is a coating that is applied to chosen areas (spots) of a print, highlighting that part of the design as it reflects the light and adding texture to the piece. All CORE 36 and 42 products are printed on extra thick, layered Ultra White Premium Stock, giving them a smooth finish that is both durable and lush to the touch. 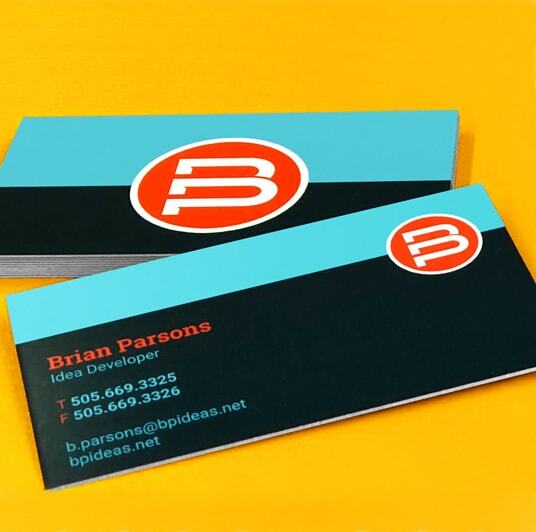 Submit all business cards with an additional 1/4” bleed in order to cut to the exact size. Templates can be found here in order to upload your own artwork. You will receive full color printing on one side of your piece. (photo quality CMYK printing.) The other side will be white with (no ink.) Keep in mind that if you select the UV Coating option your blank back side will still be UV Coated even it it contains no ink coverage. If you are not clear on our color options please contact us at 800.433.9298 so that a customer service representative can provide you with further information. The corners will be cut at right angles. Try out die cut rounded corners for a unique look. We offer many cool custom shapes that will make your cards stand out. You can also choose to create your own custom outline and we will cut your cards to that shape. If you are not clear on our cut options please contact us at 800.433.9298 so that a customer service representative can provide you with further information.